I stopped at a local produce stand for some of their beautiful strawberries…I had considered going to the farm to pick them myself, but decided on the lazy route. 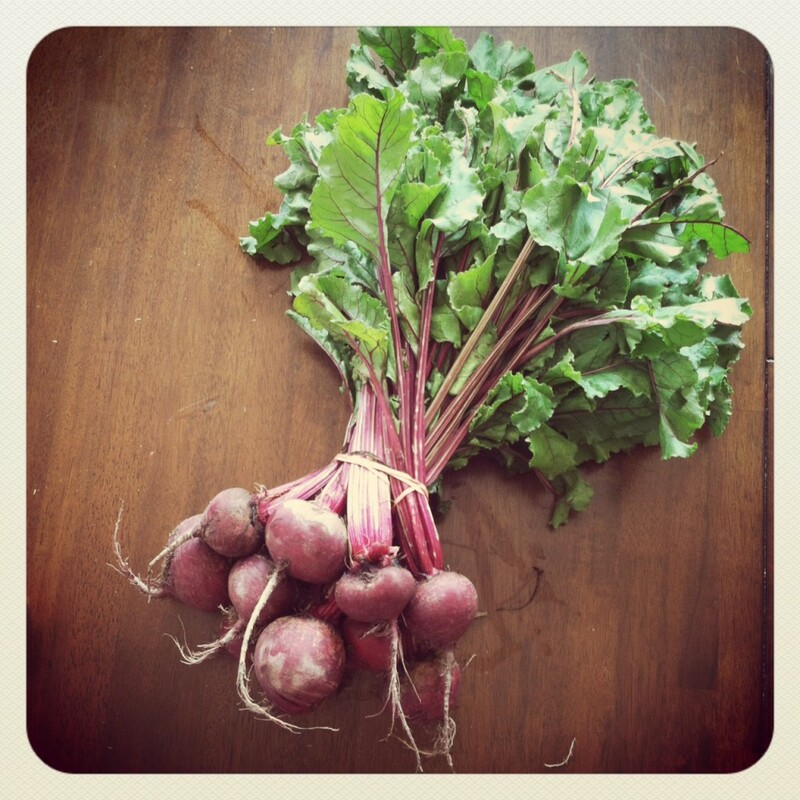 While there I spied two big, beautiful bunches of beets…I could not resist. I have never cooked them before, but could not walk away from how pretty they were…plus I knew I would be able to find a dozen ways to cook them on Pinterest…what did I do before Pinterest? They were less than $3, and had just been picked the day before…unless I plucked them from my garden, I don’t see me getting them much fresher than this. 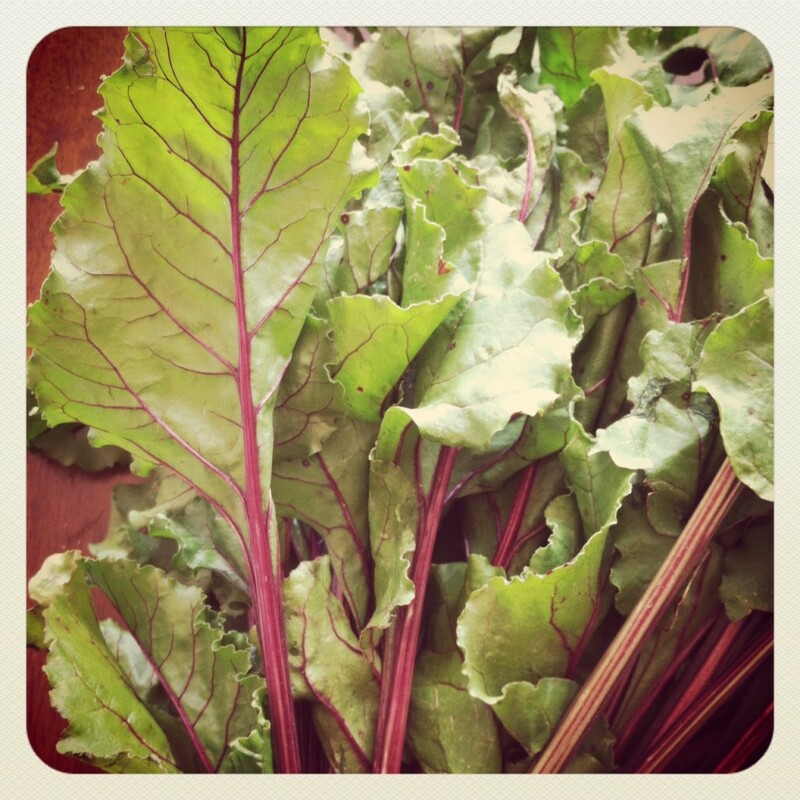 The greens were so luscious and beautiful…I envisioned a salad with feta and roasted beets. Sorry for the blurrieness…you know how I feel about Instagram! I wasn’t after technical perfection, I wanted you to see the COLOR! A-M-A-Z-I-N-G! 50% of my family even ate them :). To roast these beauties, I rinsed the trimmed beets, put them in an ovensafe dish, added a bit of water, covered with foil, and put them in a 375° oven for 45 or so minutes (until they are easily pierced with a knife). I let them cool for a bit, donned my gloves, slid the peels right off, trimmed the root tip, and sliced them up. No additional items necessary…didn’t even salt them! 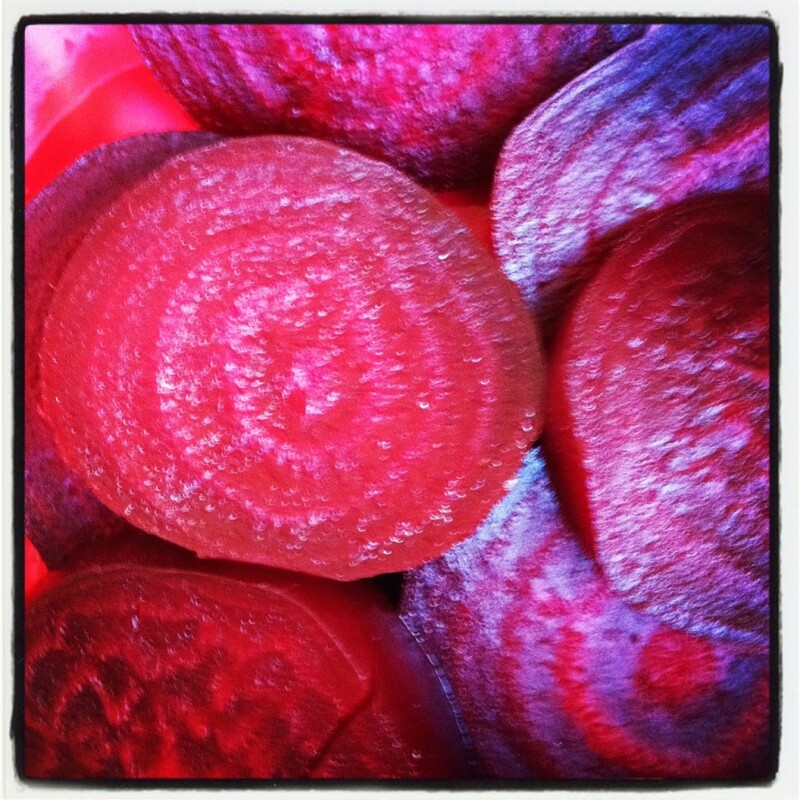 So when that beautiful bunch of beets beckons you…I say go for it! You might have to do a little research, but it is so worth it! Today’s secret revealed…I can’t believe I’m going to tell you this…Southern women take great pride in their cooking prowess…biscuit making is one of the hallmarks of our genre of culinary delights…I have not been able to perfect this art…but, after nearly 20 years, I think I have finally done it! 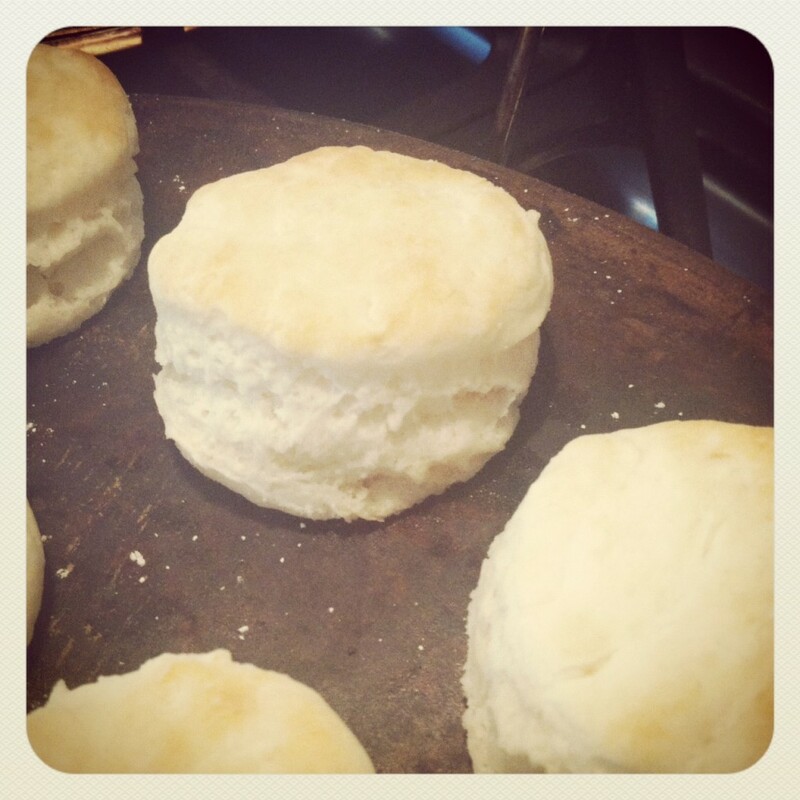 I made biscuits that not only tasted great, but were beautifully flaky and risen! I, of course, took a picture to share with my Momma, now I’m sharing with you :). I really like your wp theme, exactly where would you down load it through? YUMMY!!! I love beets! They are so beautiful, great job! AND….the biscuits…..WOW!!!! You did great! Special Mix of Russian spices are coming your way soon 🙂 ! Borsch will be just D-E-L-I-S-H, I am sure!!!!!!! Yummm… You are so awesome!